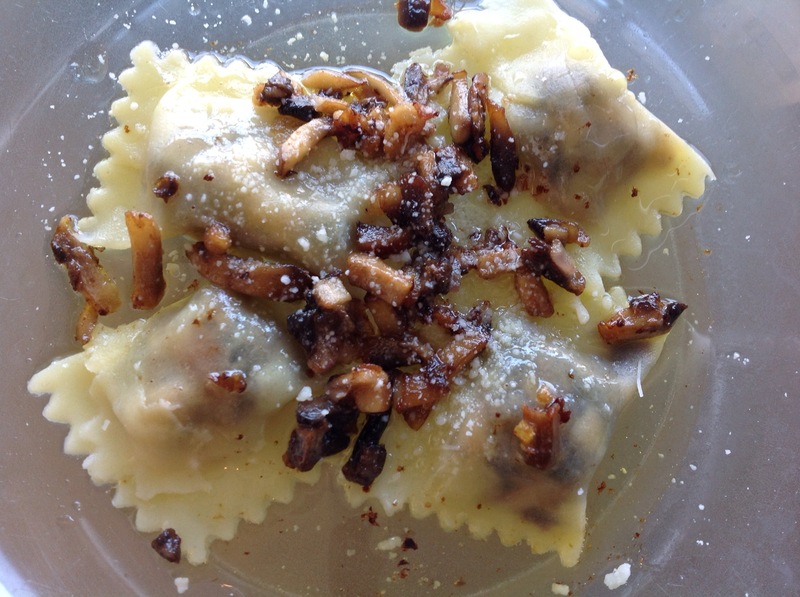 for lunch yesterday i made mushroom ravioli with the fresh pasta dough. the filling is mushrooms sauteed in butter finished with madeira and grated parmesan cheese and topped with same and some added evoo. I put some of this ravioli in the freezer uncooked. I cooked some today for lunch and it worked beautifully from frozen. Martha, that’s awesome! what type of container did you use to freeze them in? After freezing them on a tray separated, I put this batch in a plastic freezer bag.